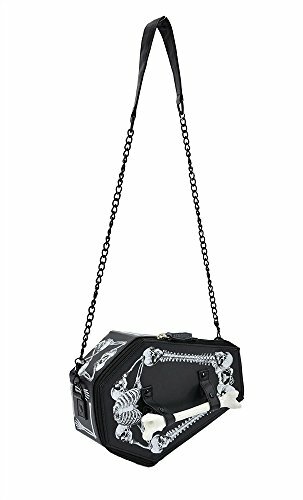 Size : ----Skull:Width*thick*height:20cm/7.8in *15cm/5.9in *19cm/7.4in,----Teapot:Size:6.29"L * 3.93" W * 7.48" H + 3.14" (cover height) Novelty steampunk design ：Ancient teapot shape and skull shape bags. 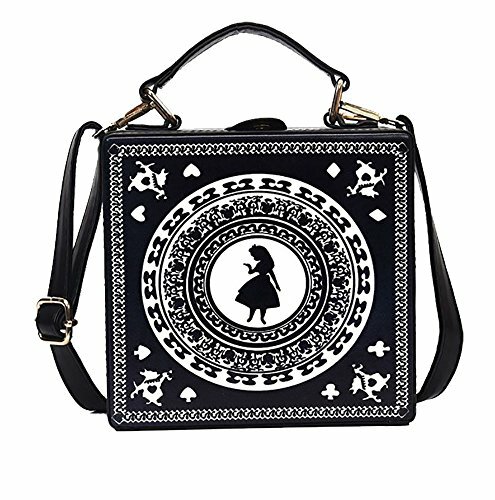 Carry: tote，handbags, shoulder bags, crossbody. 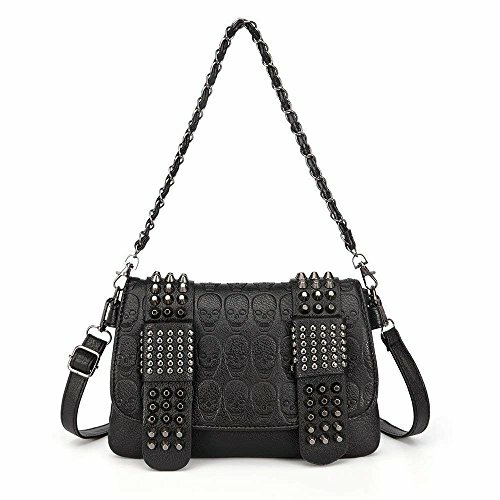 Material: high quality soft Pebbled PU leather, lining is a nice polyester fiber Approximate Size(Large): 18.12"(L) x14.97"(H)x 7.09"(W). Please accept 1"-1.5" error. 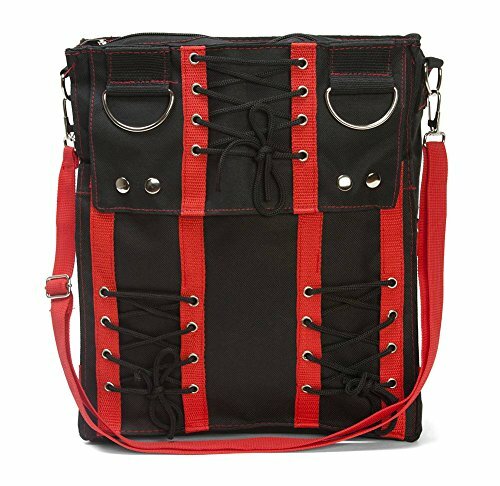 Durable carrying handles and zip top closure; Inner two slip pockets, zip pouches; Exterior features a back zipper pocket and two front zipper pockets. 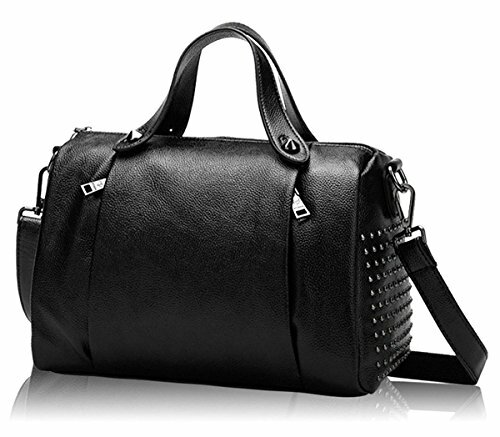 Approximate Size: 12.2"(L) x 8.26"(H)x 6.7"(W). Please accept 1"-1.5" error. 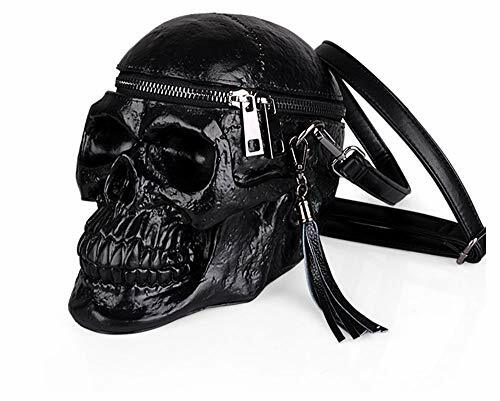 Materials: 100 genuine leather, Soft but sturdy, used persistent. Polyester cotton lining .normal use 2-3 years, still looks bright as new. 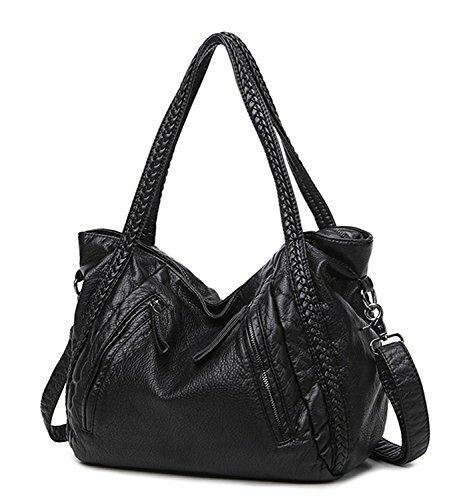 Top zipper closure. Reasonable interior structure: 2* compartments for large stuff. 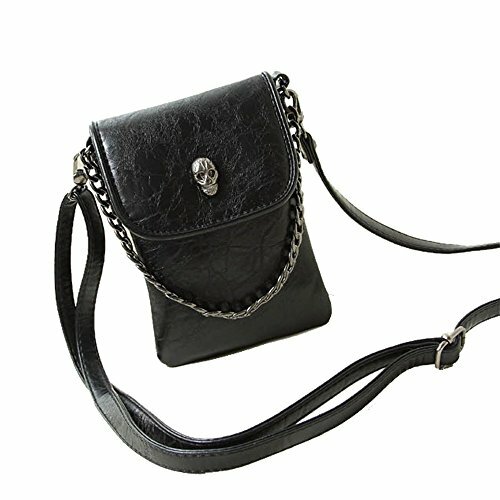 1* middle full-size zipper pocket and 1* small inner zipper pocket, 2* interior open pockets for wallet, keys, mobile phone and so on. Exterior features 1 back zipper pocket. 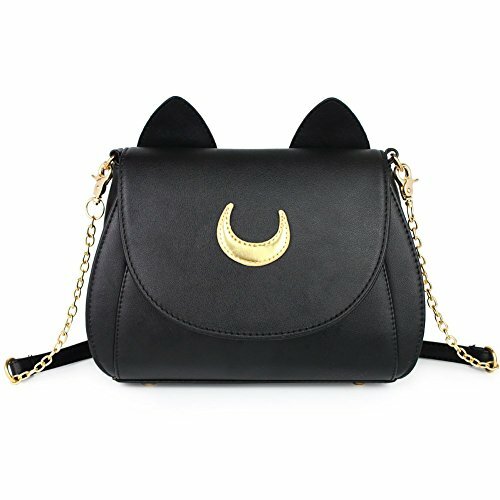 Big capacity oversize handbag.Size:(20.5 Top + 13.75" Bottom) W x 8.2"D x 12.5", here might be about 0.39"-1.18" size difference due to manual measurement. 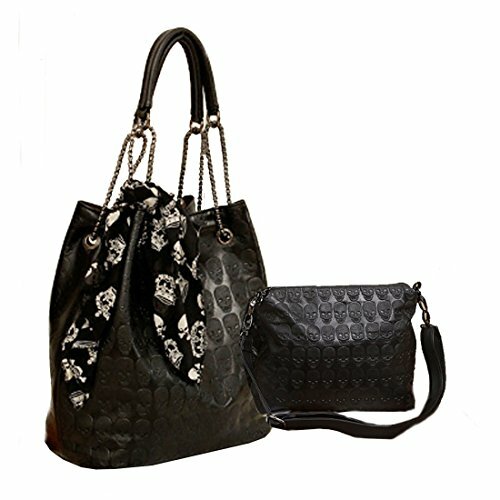 Soft Material: High Quality Pu leather with patterned blue color cotton lining. 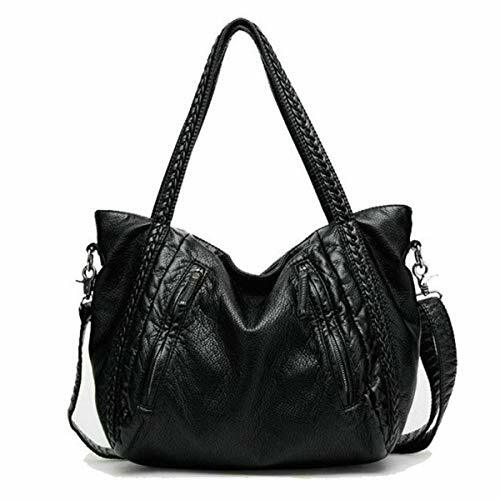 Comfortable soft materials, perfect for those who love slouchy bags Dedicate Detail: Braided tote handle sewed to the bottom makes a big capacity practical hobo bag, more durable and more beautiful. 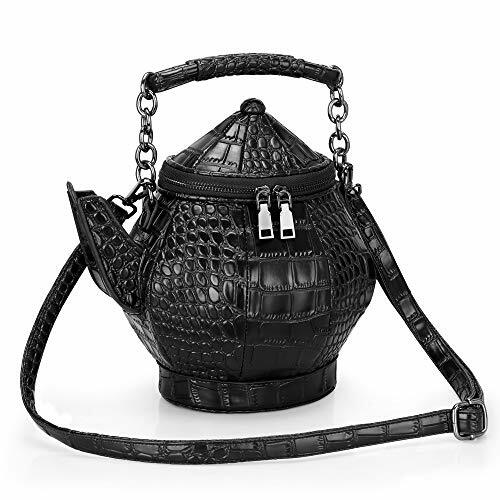 Exquisite detail design added on a classic black handbag,minimalist but not simple. 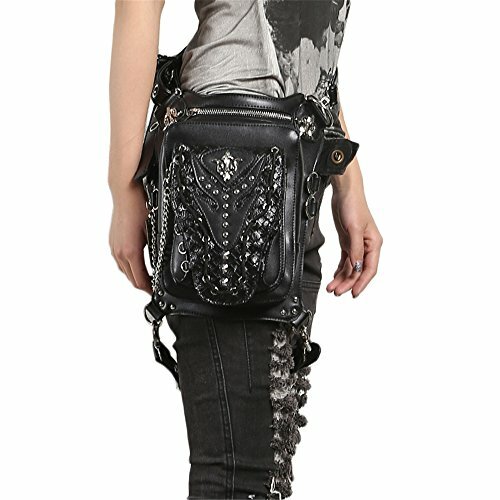 Product Style:Waist Packs ,Crossbody Bags,Shoulder Bags,Leg Bag. 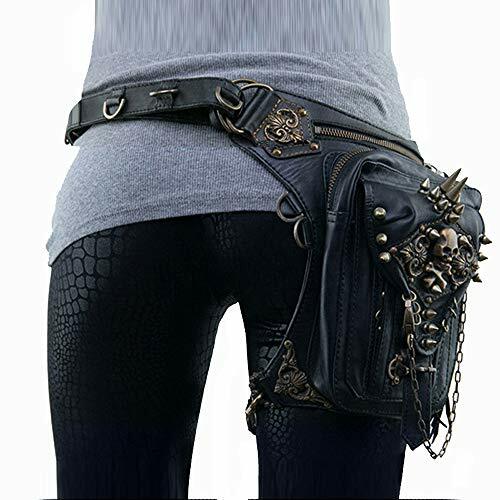 It is made of high quality pu leather materials.The belt is adjustable. If you have any problem,please feel free to contact us.We'll try our best to solve the problem for you as soon as possible. Dimensions (L*H): 13*16cm/ 5.1"*6.2". 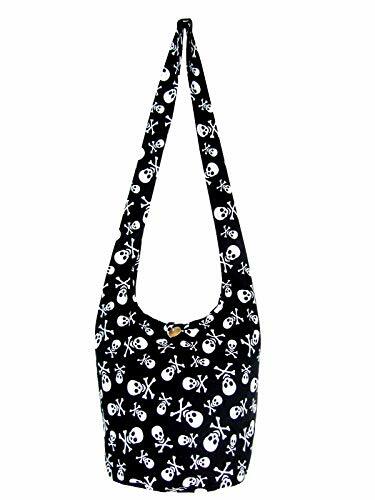 Weight: 175g Adjustable long shoulder strap for comfortable wearing, removable and easy to control. 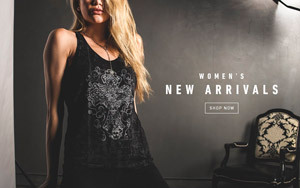 With a delicate chain for simple carying out. 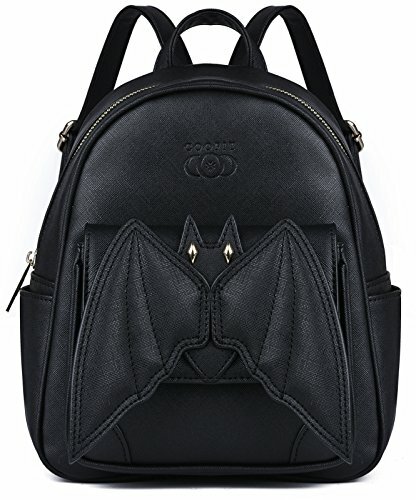 Premium PU leather exterior and neat stitching cotton lining interior Featuring lightweight, spacious, portable, comapct design. Snap on closure for safety guarantee. 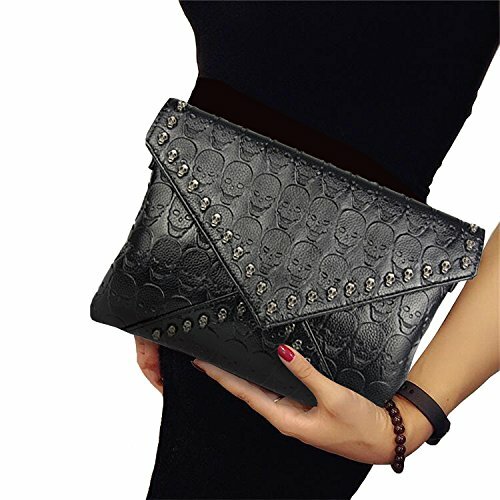 Fashion and classic gothic studded skull for a fresh look, a novelty companion for you. 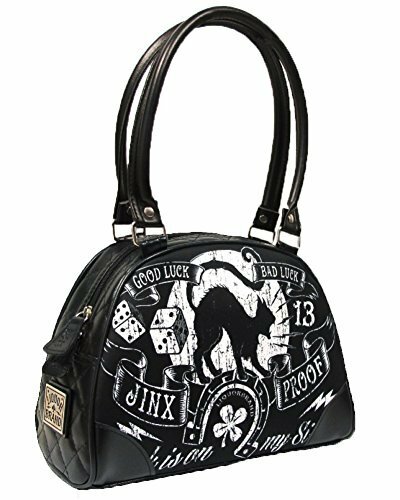 (W) 10.2 inch, (H) 4 inch, (D) 7.8 inch Inner zipper closure(1), card slit(1), attchable shoulder belt(1) Funny & gothic design bag. 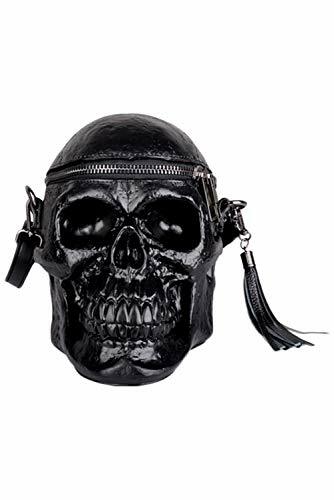 Stable PU leather. 6 bottom bulges.